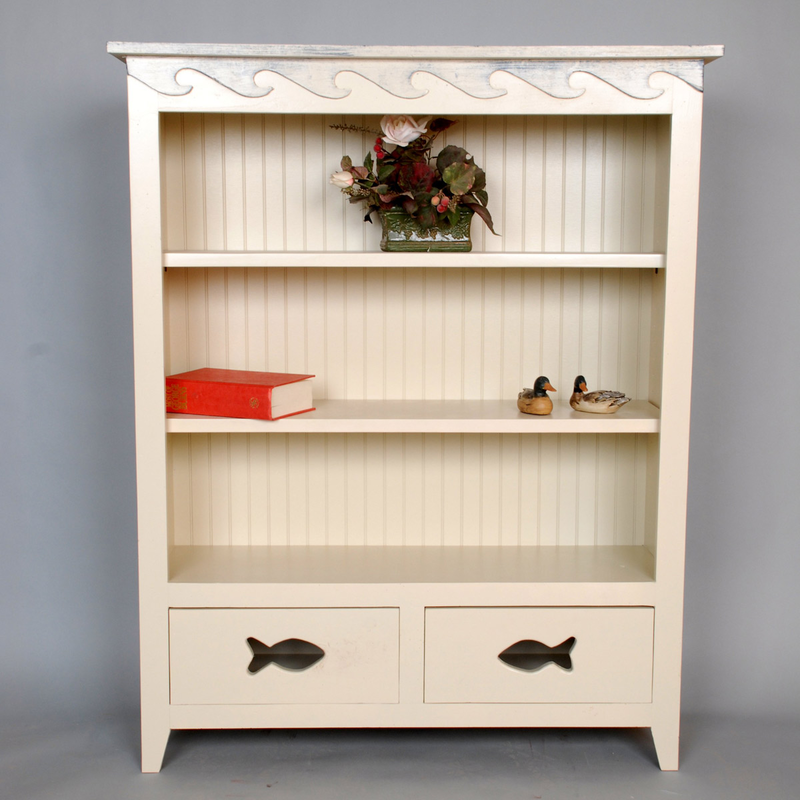 Bring coastal style to your room with the 2 Drawer Fish Bookcase, featuring fun fish cutouts on each drawer and painted waves. Ships from the manufacturer. Allow 6 to 8 weeks. Cannot express ship this beach style furniture. For many more offerings, we encourage you to take the opportunity to go through our full variety of beach style cabinets at Bella Coastal Decor now.